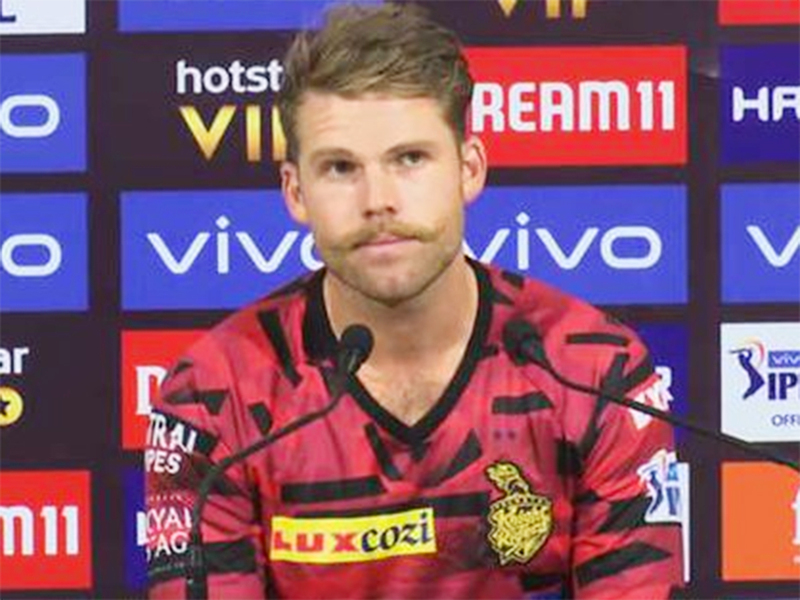 Kolkata: Not thinking about workload management too much, New Zealand quick Lockie Ferguson on Tuesday said he wanted to use the Indian Premier League (IPL) experience to fine-tune his skills, ahead of the World Cup in England. Ferguson was roped in by Kolkata Knight Riders (KKR) ahead of the 12th season to replace Mitchell Starc and Mitchell Johnson as their pace spearhead. With the World Cup taking place just after the IPL, the 27-year old who bowls express pace and had a career-threatening foot injury during the 2012-13 domestic season could look to restrict himself to avoid another such incident. When quizzed about workload management ahead of the mega event, starting on May 30, Ferguson said: "It's one of the biggest competitions in the world, playing in front of big crowds, against the best players in the world. Of course, all the experiences you're gaining by playing the IPL is going to help you going forward in any part of your career." A full recovery after the injury allowed Ferguson to rise to the top of his game and make a comeback. The Auckland-born pacer made his ODI debut against Australia at the end of 2016 and was picked up in the IPL auction for the 2017 season when he played for Rising Pune Supergiant. However, there were no takers for Ferguson in the 2018 auction. He was picked up by KKR this season. "Obviously, there's a big World Cup in a few months. But at this stage, I'm focusing on KKR and trying to assist them and get some more wins like we did in the first game. I'm very much a game-by-game-kind-of-focus guy. I'm looking forward to tomorrow," he said. Ferguson returned wicketless in his first game for KKR against Sunrisers Hyderabad, leaking 34 runs. New Zealand take on Sri Lanka in their World Cup opener on June 1.